did you know pete burns (the singer) is now a woman? i mean c'mon, it's a tad bit obvious he wasn't diggin having a set of giggleberries, but he makes a knockout of a lady. seriously, he's prettier than ME. i knew i had a picture! 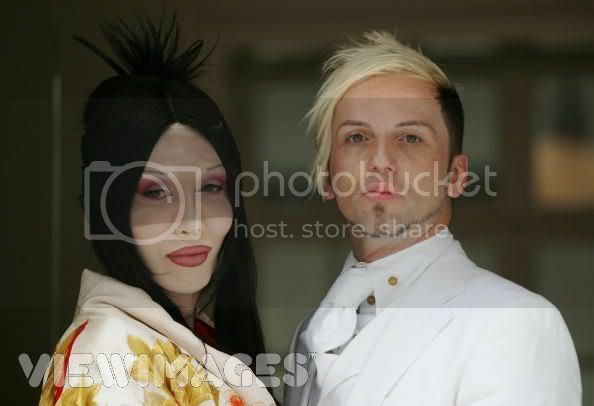 so thats pete burns on the left and...his....fiancee [tries not too laugh] are you ready? MICHAEL SIMPSON.